Leventhorpe Madeleine Angevine included as one of the ‘Wines of the Week’. The vineyard and our wines featured in a video posted by World Rugby in the run up to the Rugby World Cup hosted by England in September 2015. David Ellis chronicles his successful time as France’s defence coach. He took some of our wines to share at the pre match dinner during the 2011 Six Nation Campaign in France and records the excellent comments made by the then France head coach. In celebration of Yorkshire Day our Leventhorpe Sparkling was used as one of the ingredients in creating a Yorkshire cocktail – ‘Yorkshire’s Finest’ – using the finest Yorkshire ingredients by Mix’n’Twist Bartending. Leventhorpe Vineyard featured in the episode on the Aire & Calder Navigation in his series on ITV. 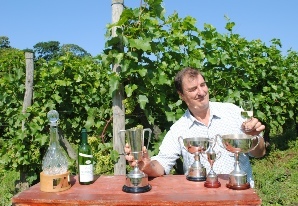 The Times featured Leventhorpe Madeleine Angevine Late Harvest 2007 when it won supreme ‘gold’ medal in a competition for wines from the south Midlands to the north. association with the Magna Carta. HRH The Duchess of Cornwall was in attendance. Leventhorpe Sparkling included among ‘The 10 Best English Wines’. Leventhorpe Madeleine Angevine 2009 selected by Susy Atkins in her pick of English wines. It also featured on the Decanter website over the Christmas period. 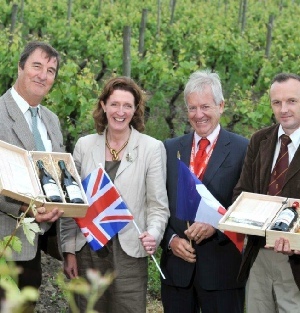 In the spirit of ‘entente cordiale’ Leventhorpe hosted a wine exchange with Chateau Masburel – courtesy of Jet2 – presided over by the Lord Mayor of Leeds. Leventhorpe included in the ‘Festive Escapes’ article. Leventhorpe Yorkshire Brut served in the VIP lounge when the event was held in Sheffield. Leventhorpe included in Oz Clarke’s ‘Pick of the Best’ six British vineyards, who stated “Leventhorpe is a once tasted always remembered kind of wine”. 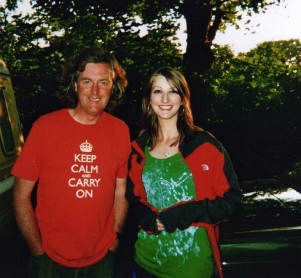 Leventhorpe Vineyard visited by Oz Clarke and James May in the BBC television series and featured in their book. 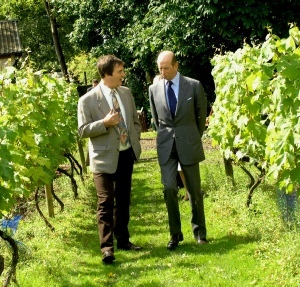 Official visit to Leventhorpe Vineyard by HRH The Duke of Kent who was “astonished by the quality of the wine”. 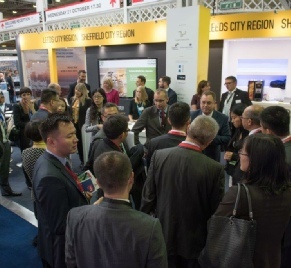 In March 2016 Leventhorpe Madeleine Angevine 2012 was taken to the MIPIM 2016 Exhibition in Cannes, courtesy of the Leeds City Region Enterprise Partnership. We were proud to fly the flag for Yorkshire and England. In April 2016 nine of the Jurats of the Jurade, who are all top winegrowers in Saint-Emilion, Lussac Saint-Emilion and Puissequin Saint-Emilion visited Leventhorpe Vineyard whilst on a visit to England organised by the Chancellor of the Jurade de Saint-Emilion in the North of England. In June 2016 in the industry's annual wine awards - the prestigious 'English & Welsh Wine of the Year Competition' - Leventhorpe won several awards. The icing on the cake was a Gold award for our Seyval 2014. The wines were judged by a team of 5 Masters of Wine and marked to international professional standards. Leventhorpe was invited by UK Trade & Investment to contribute wine towards an event celebrating the finish of the Tour de France on Sunday 24 July 2016. At the invitation of the British Embassy in Paris Welcome to Yorkshire held the event a ‘Yorkshire High Tea’ for invited guests at their stand on the Avenue des Champs-Elysees. It showed the best of the region’s products. Leventhorpe Madeleine Angevine 2012 was paired with Yorkshire cheeses and the guests were “astonished at the quality of Yorkshire fare”. We were delighted to be associated with the Tour de France and its Yorkshire links and proud that our wine had been chosen to represent the region. On 18 January 2017 Leventhorpe participated in the Kingdom of Elmet Food Day in the Houses of Parliament at the invitation of Alec Shelbrooke MP, Conservative Member of Parliament for Elmet & Rothwell. It was a great opportunity to show our award winning wines to MPs, Ministers and Peers and we were delighted at the interest and favourable comments received. 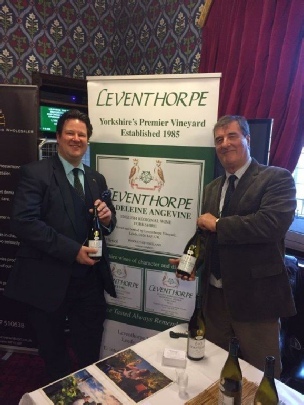 Leventhorpe was invited to showcase its wines at The Geat Yorkshire Show in Harrogate, providing an opportunity to promote the best that Yorkshire and England has to offer. 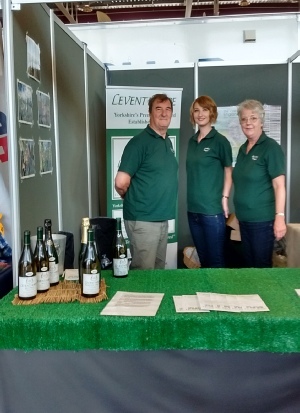 The wines proved very popular and the team had a busy 3 days introducing Leventhorpe wines to a wide audience.